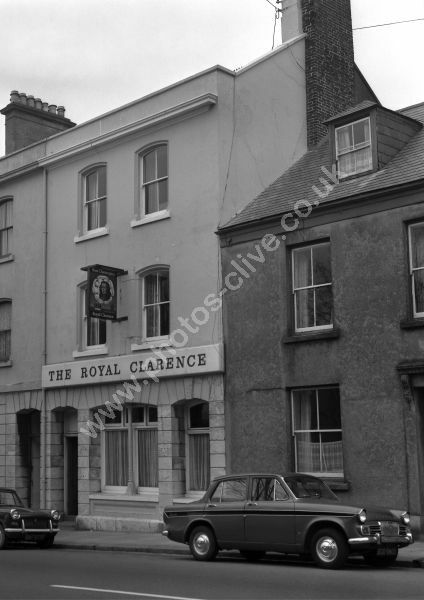 The Royal Clarence (now demolished) at 136 Albert Street, Morice Town, Devenport, Plymouth, Devon. The Triumph Herald is DAF 677C and the car in front of it is ECO 980D. For commercial use of this photograph please visit www.alamy.com and search for A9JKF4 but for a one off print, please see below.